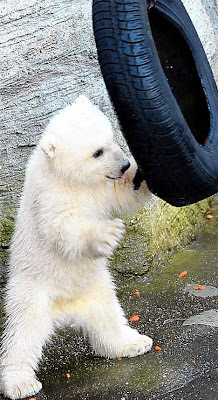 Alexa Shrugged: I can't get enough of baby polar bears! 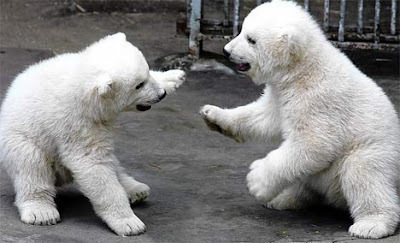 Their first steps are tentative as they emerge into the public eye for the first time. To start with, these two polar bear cubs seem painfully shy, sheltered beneath the massive bulk of their mother, Olinka. 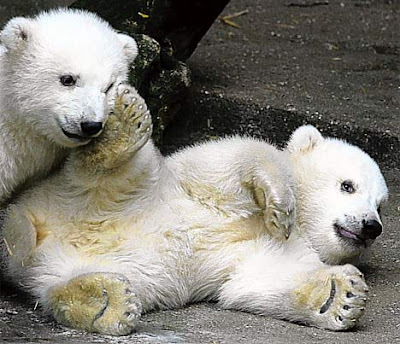 The three-month-old twin males, born in November at the Schoenbrunn Zoo in Vienna, come out and take turns to examine their strange new surroundings.